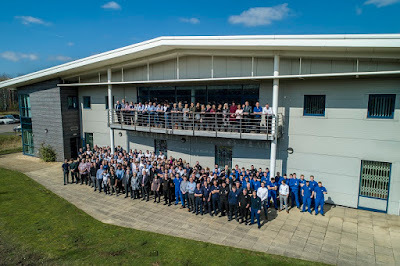 Rotherham-based AESSEAL, the world largest homogeneous mechanical seal manufacturer, is celebrating its 40th anniversary, with a series of events and a promise to continue investing and innovating. The multi award winning Templeborough company, which designs and makes mechanical seals and support systems for a wide range of global industries including oil and gas, food, water, mining and pharmaceuticals, has grown from a small distribution business based on Attercliffe Road, Sheffield to a £180m+ turnover business employing more than 1,800 people across the world. 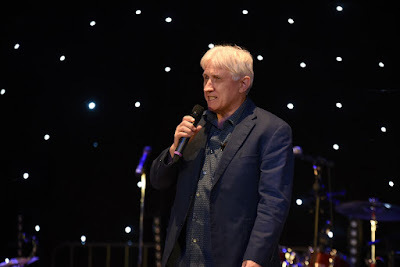 The 40th anniversary celebrations kicked off with a gala dinner at Sheffield City Hall on April 1 where staff and special guests gathered to mark the company's achievements, and thank all their employees for their continued support. Each AESSEAL branch across the world (it operates from operates from 230 locations in 104 countries) will also be organising and holding a regional event for its staff and local customers. Chris Rea, founder of AESSEAL (pictured), said: "We are very proud of what has been achieved over the last 40 years, from humble beginnings to what is today recognised as a global, market-leading business, which employs hundreds of people and also gives back to the local community in the shape of sponsorships and education partnerships. We were keen to not only mark this milestone anniversary and acknowledge the people that have contributed to its success, but also to put our flag in the sand and outline our plans to continue to grow and innovate." Chris Rea purchased Aurora Engineers Supplies (where the "AES" comes from) in 1979, as a small distributor of mechanical seals, with ten employees and an annual turnover of £400,000. By 1983 AESSEAL built its first manufacturing site on Mangham Road, Rotherham. Over the following years the mechanical seal range expanded, turnover grew to £2m and the company received the first of its 13 Queen's Awards. Export sales grew, overseas offices were opened, and turnover increased year on year. Rea added: "Our achievements can also be attributed to our absolute commitment to continuous improvement – for both ourselves and our customers. After four decades of continued product development we believe we are in a very strong position - with a range of differentiated and enhanced patented technology for almost all Wet and Dry Gas Seal applications - and that we can secure as large a percentage of global applications as any other global mechanical seal supplier. "Going forward our development will focus on emerging technologies and connecting the group's consultancy and reliability business digitally to its physical product range, in order to offer the best possible service to customers."